Happy New Year to you all! I had a very pleasant, quiet break and spent much of that time reading (bliss!) I’ve caught up on some magazines (although still a few to go. They really can build up, can’t they?) and am hoping to make a real attempt to put a dent in my TBR piles, both physical and digital. I’ve got such a lot of lovely books waiting to be read that I really don’t need to acquire any more right now. (Apart from the one that’s arriving today, of course! Oops!). 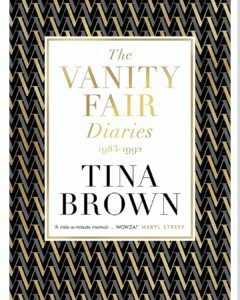 So, my first book review of the year is the recent release by Tina Brown, an account of her time as Editor in Chief of American Vanity Fair. It feels like an age since I’ve read non fiction and I do really enjoy it. I’ve decided to go back to mixing up my reading more again, as I’ve drifted away a little from that over the past years, but I’m already thoroughly enjoying the variety. Here’s the first of those reviews! I’ll admit now that although I was excited to read this book, I very nearly gave up on it. 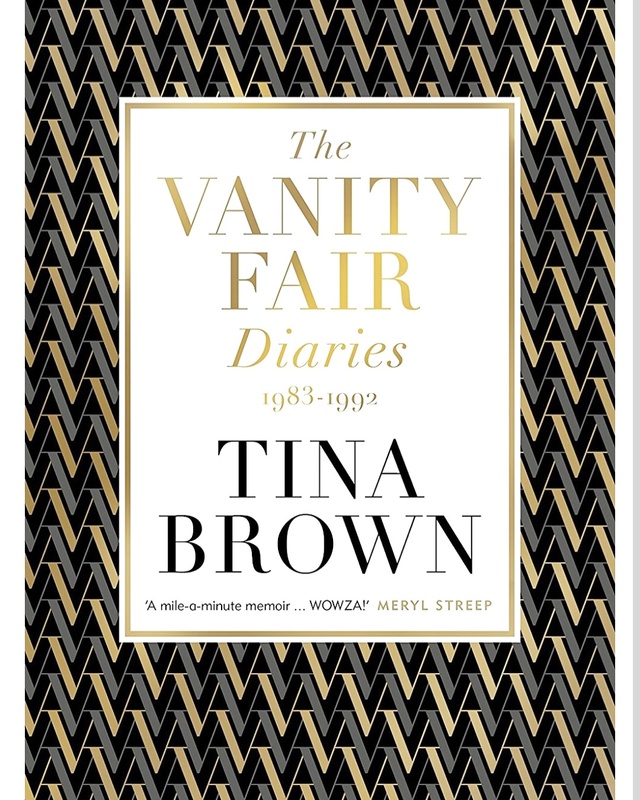 The first fifteen to twenty percent of the book was given over to the possibility of Ms Brown moving from Tatler magazine in the UK to being given the Editor in Chief position of Vanity Fair in New York. It felt a strange place to start and laborious to read. The to-ing and fro-ing that occurred during this period could better have been condensed into a paragraph, or at most a page and be less likely to put off readers who give up before getting to the real meat of the book. Once Ms Brown is finally given the job, the pace picks up substantially and I had real difficulty in putting the book down! Admittedly, I was unaware of some of the names she spoke of, but for the most part it didn’t matter as her vivid, and often amusing descriptions of those she mixes with is more than enough. The book is full of colour and vivacity. It’s a brilliant piece of social history aswell, as we look back on the decadent Eighties, and all that went along with it – the Dynasty power suits, the ‘frosted’ hair that didn’t move an inch, even in a gale, along with the darker side to that freedom in the spectre of AIDS. Although it’s easy to have visions of the cool and often unkind Miranda from the The Devil Wears Prada when one thinks of an Editor in Chief of a major, world leading glossy magazine but Ms Brown comes across as very likeable. She clearly has drive and energy – just reading about the speed of the world she operated in, and being out for lunch and dinner pretty much every day exhausted me – but she also comes across as very human. She has faults that she acknowledges, and fears and tears. She worries about her friends, and her parents and her children and wants to make sure all are happy and cared for. I loved the switching from the breakneck speed of their lives in NYC to the slow, sedate weekends spent at their beachfront house in the Hamptons, and can easily see that this was something they needed as a family – an escape from the crazy for a couple of days a week. Once I got past the slow beginning, I thoroughly enjoyed this book and the window it opened on a time now past.